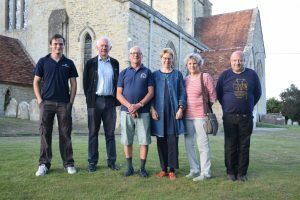 On the evening of 16th August after a long wait and numerous setbacks the new bells of Cuddesdon at last rang out over the village and fields of the surrounding area. 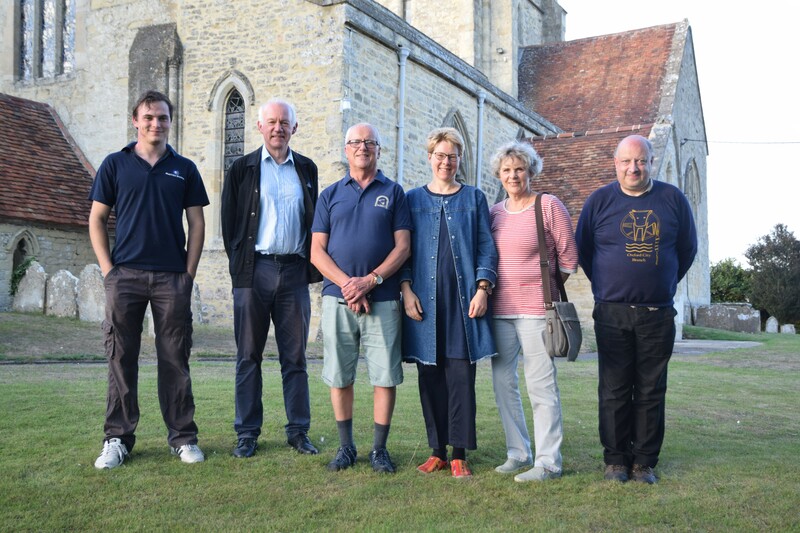 The team of bellringers gathered from across the region rang a quarter peal which took about 40 minutes to complete. Villagers, friends and parishoners gathered in the churchyard to hear them ring and enjoy the golden glow of the evening light. Many people have contributed to make this possible, not least Keith Hawley whose original passion for hearing the bells ring out on 11.11.18 just as Sigfried Sassoon heard them 100 years ago to make the end of the First World War, but also the churchwardens Robert Wilson and Richard Palmer who made a dream become a tangible reality, Waveney Luke an avid supporter of the restoration of the bells for many years, Linda Ware for all the fundraising she has done for the project, to the contractors who carried out the work, the PCC members for their support and finally, to all of you who have contributed in supporting events and giving of your time and money, thank you. You can hear a recording of the bells below.